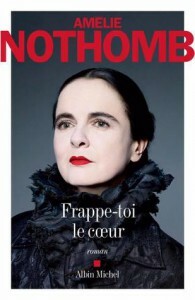 Writing a review for one of Amélie Nothomb's books is always difficult. First, because I read them in French and I'm writing in English. Then, because she is my favourite author of all time, so it is not easy for me to write something constructive. Finally, because all her books rather follow the same patterns, so if you like one, you would surely like the others. Anyway, this one is about a young and beautiful woman who always gets everything she wants because of her looks. She then got pregnant and have a beautiful daughter. That is when things get complicates because she will be jealous of her daughter. You can imagine the kind of difficulties it will bring into their mother-daughter relationships. The story is based on Diane, the daughter, and how she is coping with her life after her troubled youth. I think it was a really interesting topic and one I'm not familiar with at all. It was sometimes a bit brutal (like most of her books) but I think it was a fascinating topic. I totally recommend this author if you have never read one of her books, it is worth it.